Ultrasonic imaging is an economic, reliable diagnostic technique. Owing to recent therapeutic applications, understanding the physical principles of medical ultrasonics is becoming increasingly important. Covering the basics of elasticity, linear acoustics, wave propagation, nonlinear acoustics, transducer components, ultrasonic imaging modes, basics on cavitation and bubble physics, as well as the most common diagnostic and therapeutic applications, Fundamentals of Medical Ultrasonics explores the physical and engineering principles of acoustics and ultrasound as used for medical applications. 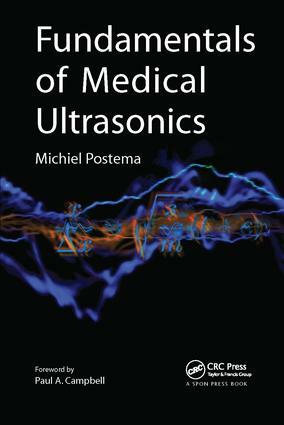 It offers students and professionals in medical physics and engineering a detailed overview of the technical aspects of medical ultrasonic imaging, whilst serving as a reference for clinical and research staff. Michiel Postema is Professor of Experimental Acoustics at the University of Bergen, Norway.